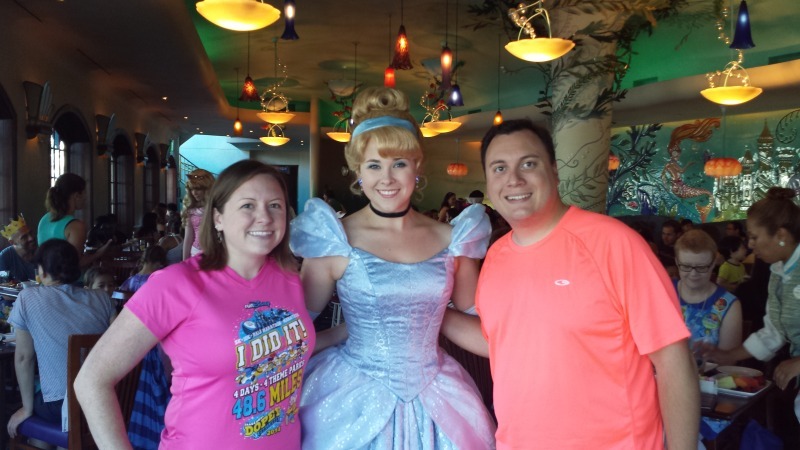 Welcome back to the Mickey Monday linkup! 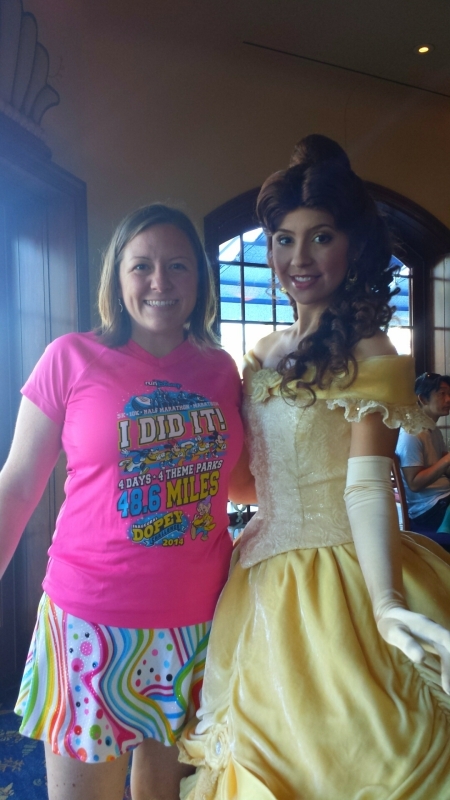 The linkup centers around a love for Disney, sharing that love and connecting with others. The hope is the linkup will help become a great place to turn to for Disney content each week and help all the bloggers participating by helping readers find that great mouse-eared content. Please look at the bottom of this post for the links and how to submit your own link. I’m co-hosting with John from Run. Geek. Run (disney), so of course check him out. Each week we’ll both have the linkup widget, so you’ll be able to get to all the great bloggers! The morning after arriving in California Nathan and I headed to California Adventure to meet my family to get our park tickets. We were starving because the night before we arrived at Paradise Pier Hotel so late and there was nothing for us to eat, so we quickly searched the map for a restaurant in which to eat. As a gluten-free vegan, breakfast is the hardest meal to eat when you are not at home. We don’t eat sausage or eggs, and most places don’t have any baked goods that are appropriate. Eating at a quick-service is even harder (unless, of course, you are at Landscape of Flavors – they have a wonderful quick-service breakfast!) 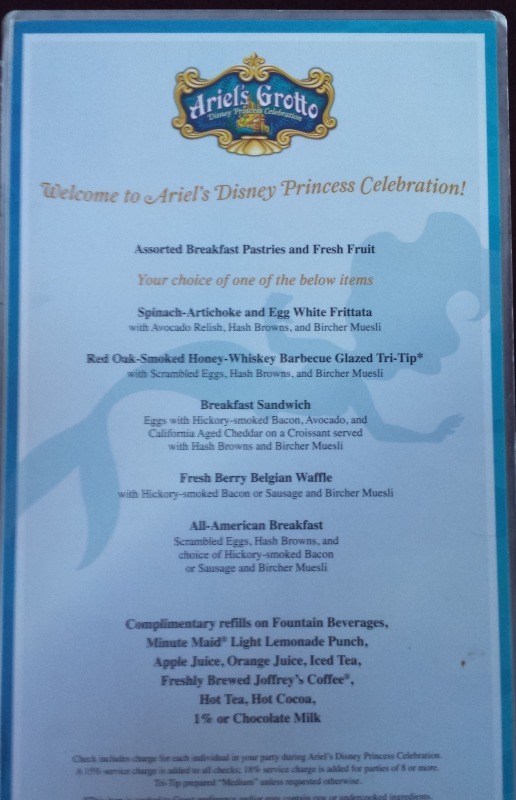 We were really hoping that the chefs at Ariel’s Grotto would be able to accommodate us, even though the menu had nothing we could eat. We were quickly seated (we got a table even though we did not have a reservation because were were there right when it opened). On our table was a fruit platter and some pastries. I devoured the fruit, but of course could not eat any pastry. The chef came out and tried to help us the best she could. 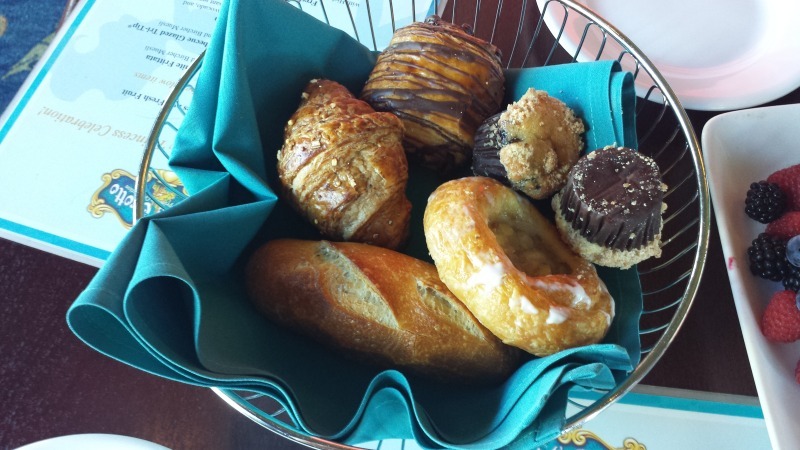 Disneyland Resort does not have the same resources for allergies as Disney World does. At WDW, I could have as much BabyCakes doughnuts and Mickey Waffles as I wanted. Not so much at Disneyland. They had some gluten-free muffins, but they were not vegan. Same with waffles (they were frozen waffles similar to Eggos). 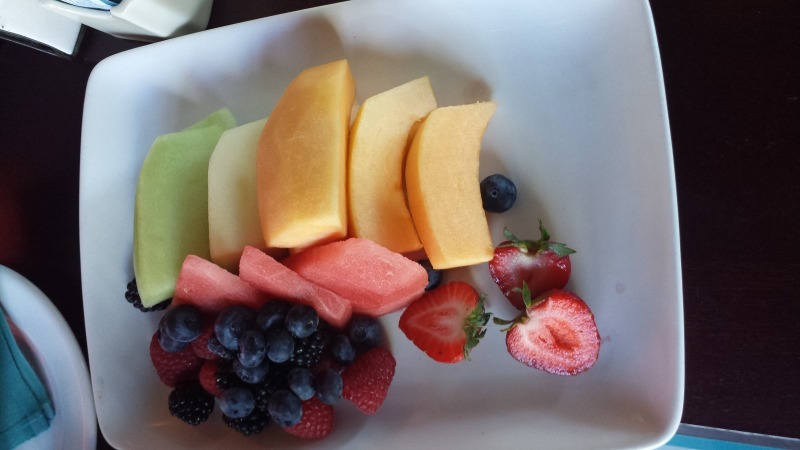 So- just fruit for me. 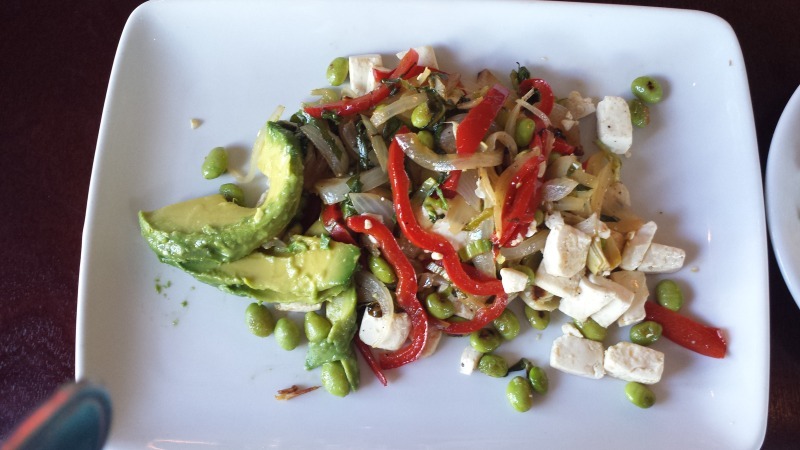 The chef said that she had some tofu and could scramble it up for us with some vegetables. This sounded good (because I was starving) and we waited. Eventually, our dish came out. Waah, Waah. 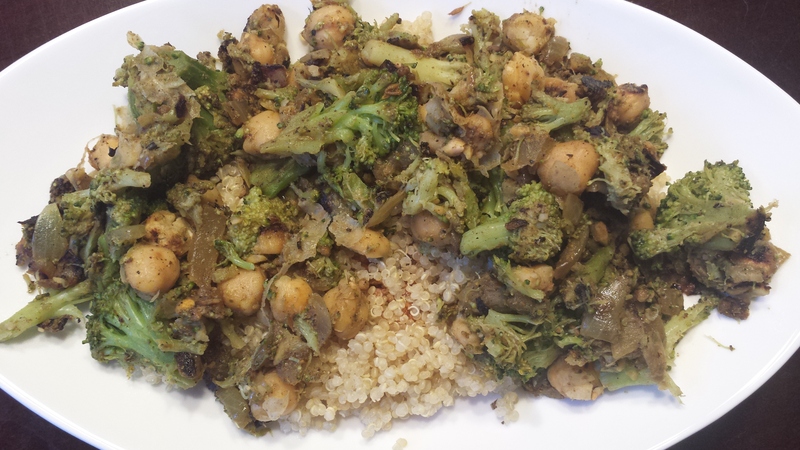 The vegetables were peppers and onions, a few artichokes, and some soybeans, garnished with avocado. Definitely not what I was wanting. AND the portion was so small! Regardless, I devoured the dish because I was so hungry. It turned out to be not so bad (once I picked out the peppers), but there certainly was not a lot of food and I was still hungry. 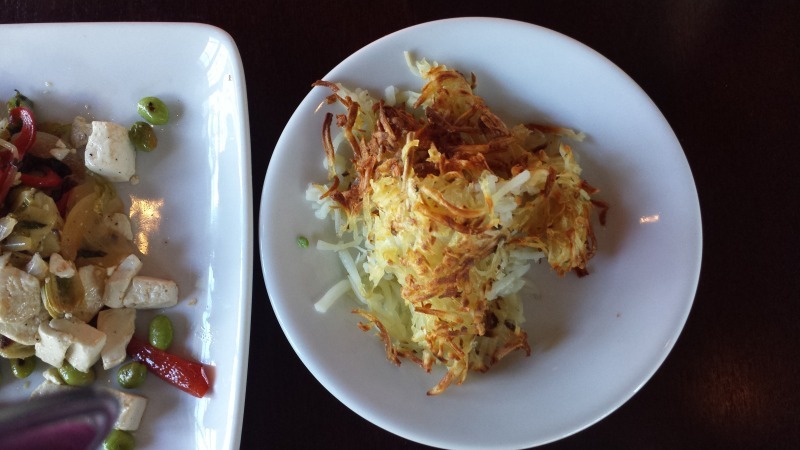 The chef also brought us out some hash browns, but they were nothing special. 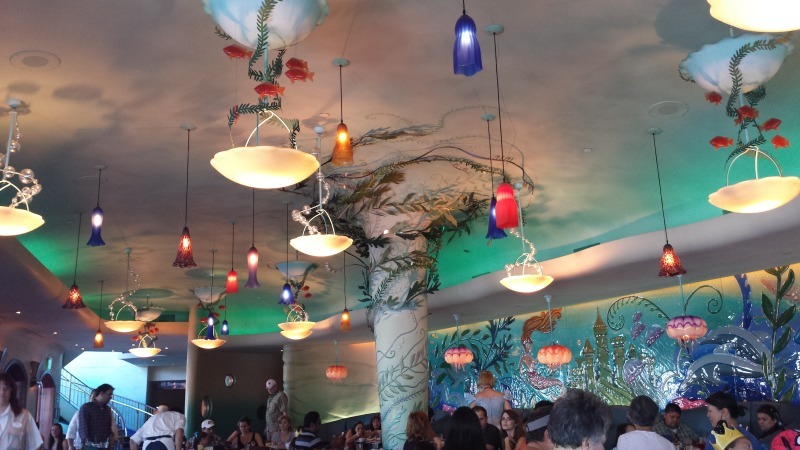 Ariel’s Grotto is a character meal. When you arrive, you take a picture with Ariel (which you then have the option to buy – too expensive for us). 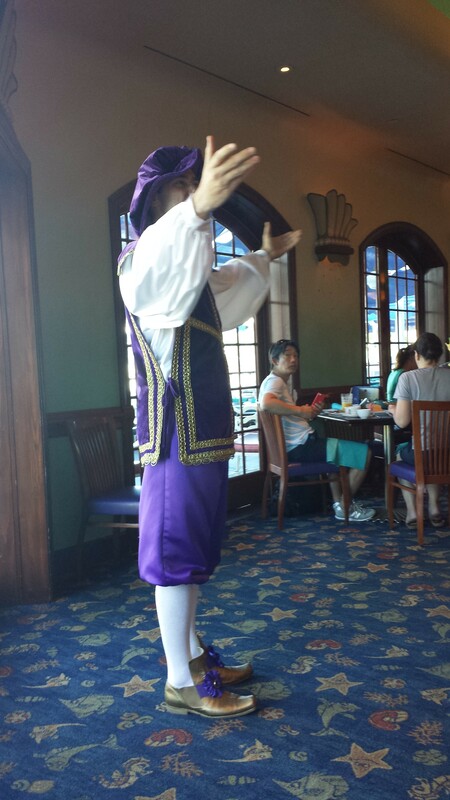 There is also a “show” where Princess are introduced and then go around to each table for autographs and pictures. We enjoyed having the announcer tell us when a new Princess was about to come out because we knew when to be ready for pictures. 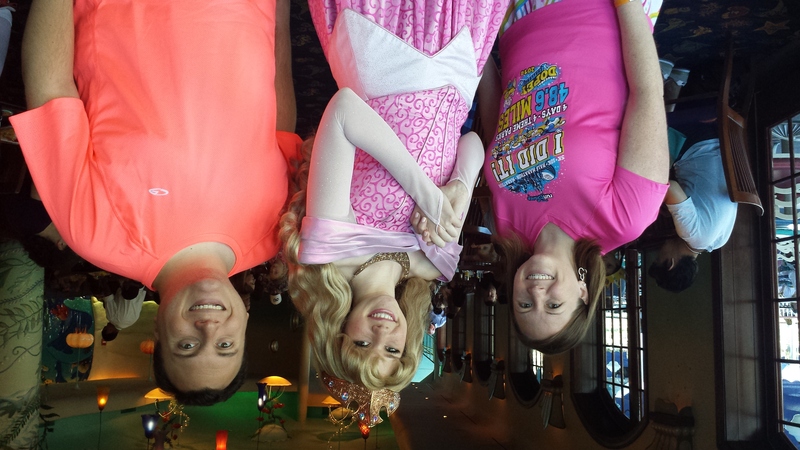 It was neat that there were so many princesses at this breakfast. 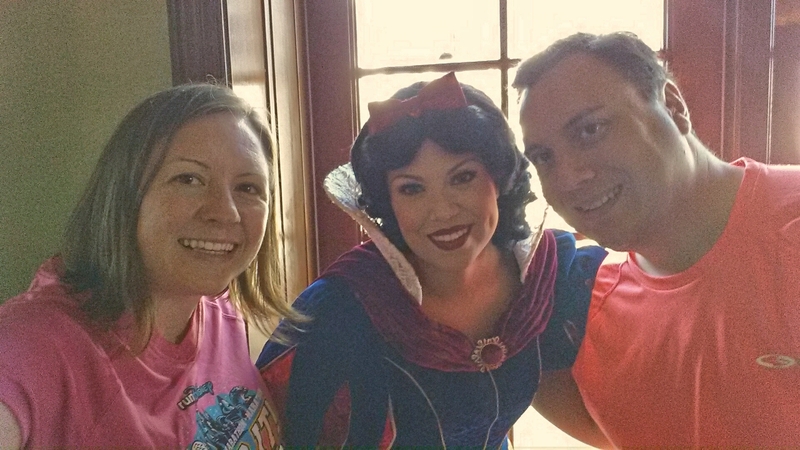 Snow White was super nice. *The post just needs to be about anything Disney related. *If you’re going to be a regular, please link back to the host posts. It’s just good etiquette and frankly, that’s how others will get to your fellow Disney lovers content. Without that link back, they can’t find the linkup and, therefore, the other blogs. Help me help you! 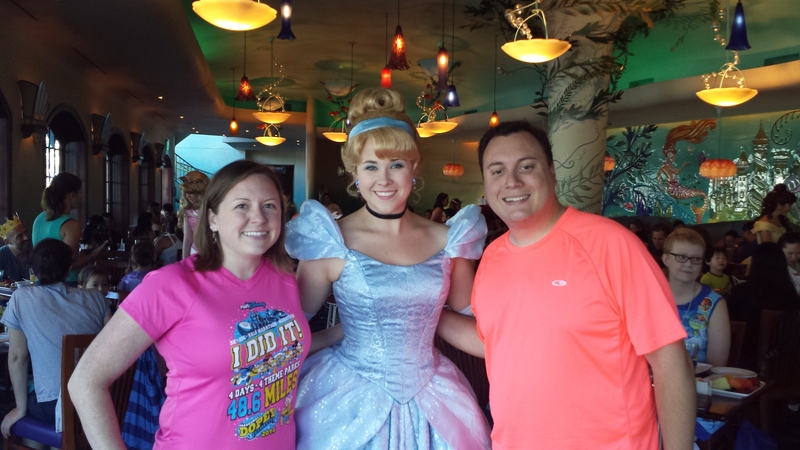 We’ve eaten at Ariel’s Grotto for lunch and dinner many times, but never breakfast. The characters, World of Color viewing and theming are always spot on, but the food quality can be variable (even without dietary concerns). No matter the time of day, this is one expensive venue- especially for tofu and fruit. For that price, I bet you would have more success with Chef Sutton at Carthay Circle! 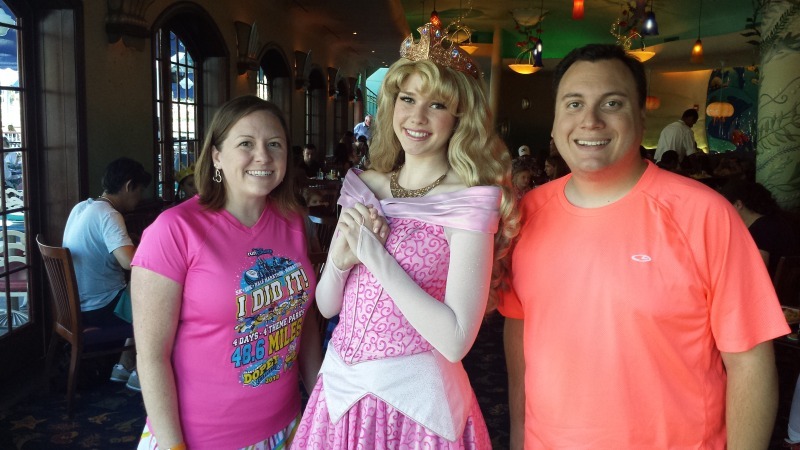 Great princess pictures! I’ve only been to Disneyland once, but I love reading about it! Glad they tried to accomodate you, but man that is crazy expensive for breakfast. You did get some cute photos though!